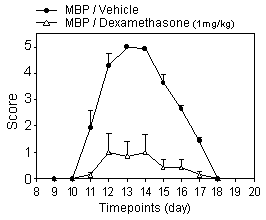 EAE is a commonly used animal model which shares some degree of similarities with human multiple sclerosis (MS). EAE is induced by CNS antigens such myelin basic protein (MBP) which activates autoreactive T-cells responsible for CNS inflammation and demyelination. 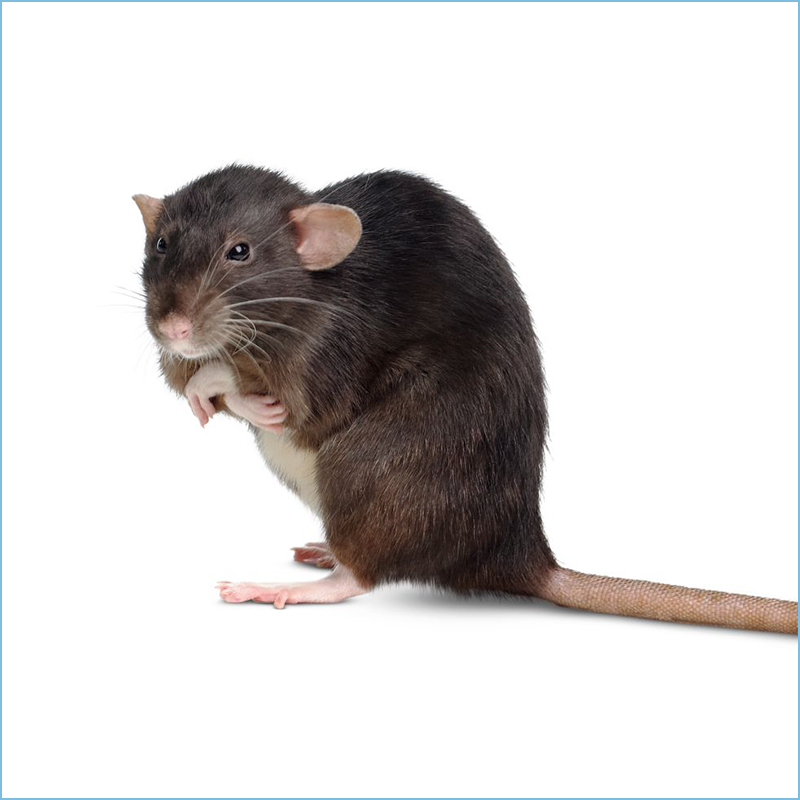 Within 10 days after the immunization with MBP of susceptible Lewis rats they develop a progressive weight loss and paralysis that can be assessed using semi-quantitative neurological scoring system. 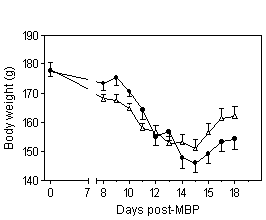 Dexamethsone treatment administrated from day 8 to 12 improves the clinical score of EAE rats. Multiple Sclerosis is a chronic demyelinating disease of the central nervous system.